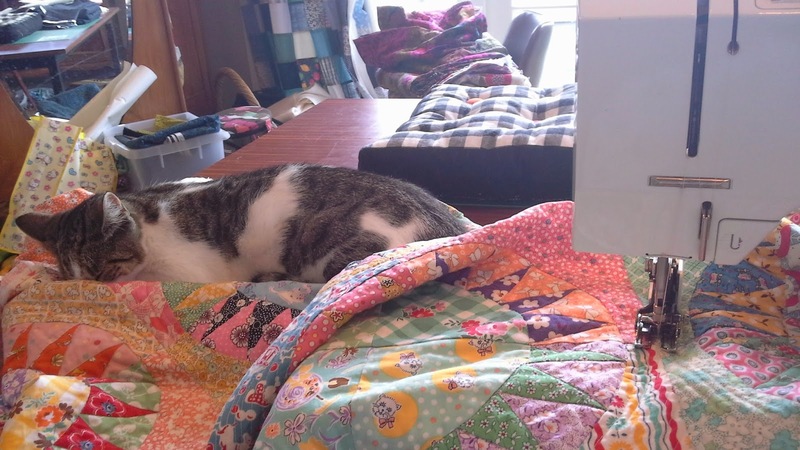 This quilt is taking longer than expected. I thought it didn't need too much quilting. Turns out I can't help myself and it just needs a bit more here and there. And I have a little helper or should I say, holder upper.